Hey folks! 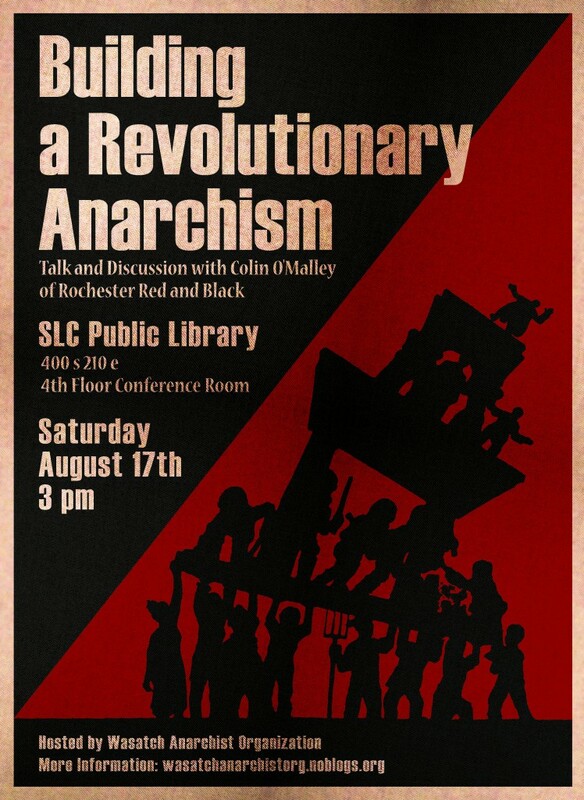 This Saturday the Building A Revolutionary Anarchism speaking tour is coming to town. We encourage anyone (except the police) to attend. No oppressive behavior (racism, sexism, homophobia, etc.) will be tolerated. How can we build the popularity and influence of anarchist ideas in movements for social and economic justice in the United States? What’s the point in a specifically anarchist organization? What lessons can we draw from the anarchists of South America? What benefits would be gained by the development of a nationwide anarchist organization? What would that organization do and how can we get involved? Building a Revolutionary Anarchism will share lessons and perspectives from activity in anarchist organization in the US and Argentina. Informed largely by the project and organizing model of especifismo coming out of South America, the presentation focuses on the necessity and current on-going efforts to build nationwide anarchist organization in the United States. In 2007, Colin O’Malley traveled from Buffalo, New York to Buenos Aires, Argentina to learn from workers that were taking over their closing-down workplaces to run worker owned and operated cooperatives. Coming from a city devastated by the loss of industry and the decades long rustbelt economic crisis that followed, Colin wanted to know what was so different about workers and their organizations in Argentina that there could be a such a drastically different reaction to workplace closures. There he spent time with some of the members of Red Libertaria, an Argentine anarchist organization. On his return to Buffalo, he helped to found Buffalo Class Action, and with them built the presence of organized anarchism in Buffalo while advocating the creation of a citywide tenants union. Through BCA, he joined Common Struggle/Lucha Común regional anarchist organization. In 2011, he moved to Rochester, New York and helped to found Rochester Red & Black, another local anarchist organization. As part of these organizations, he has been involved in the Class Struggle Anarchist Conferences, the In Our Hearts Network, and has recently been advocating and helping to build a nationwide class struggle anarchist organization. SLC’s 3rd Annual June 11th Event! If you have submitted an order form to our email address prior to this message, and have NOT yet received a confirmation, it is very likely we did not receive your request. Please resend your filled out pdf to slabc@riseup.net. 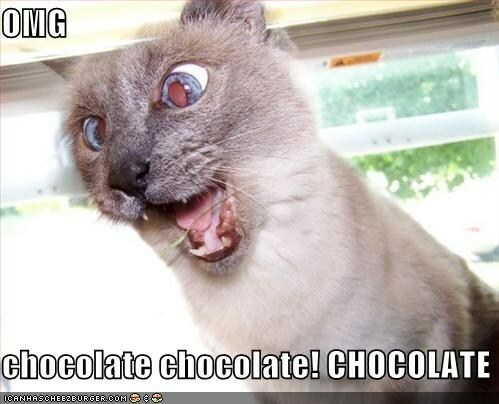 We need to have all orders placed and received by Tuesday May 7th to give the folks making chocolates adequate time to prepare. The order form will need to be downloaded, filled out with the necessary information (form has adjustable fields), saved, and emailed to slabc@riseup.net. We will process your packages and have everything ready for pickup on May 11th from 1pm to 3:30pm at Buds Vegan Sandwich Shop (509 E. 300 S. SLC) unless you have made other arrangements with us via email. Please remember all orders MUST be placed by Tuesday May 7th in order to give the chocolate crafters time to prepare the boxes. Good things take time, ya know? 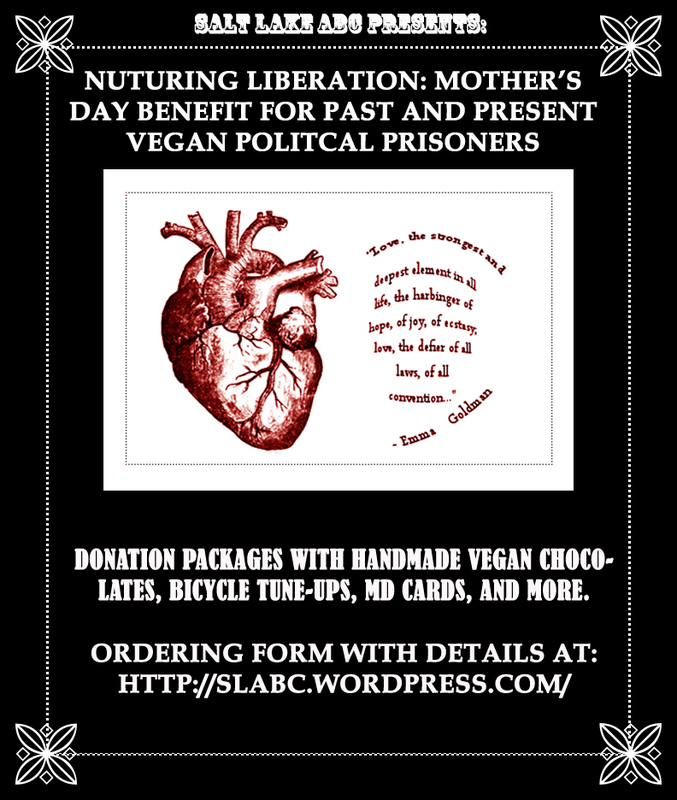 Nuturing Liberation: Mother’s Day Benefit for Post and Present Vegan Prisoners. We are pleased to announce a fundraising effort for past and present vegan political prisoners. While incarcerated, food that is free of animal products can be difficult to obtain; two common items- peanut butter and oatmeal, usually need to be purchased with a prisoner’s commissary. In addition to this, once a vegan prisoner is released, more restrictions exist in finding employment and achieving financial stability. If you’ve taken part in the job search recently, you’ll know the hardship this causes. From now until Tuesday, May 7th we are taking orders for donation packages that contain vegan chocolates, mother’s day cards, and more sweet goods/services. Mother’s Day Card– Linocut block printed image of floral design by local artist, featuring blank inside for customizable message. Envelope included. Porcelain Heart Container– A Japanese porcelain heart box hand painted by local artists with floral dot design. Suitable for storing earrings or ring, about the size of a large walnut. Spring Bicycle Tune-Up- Get your bicycle back in shape with the help of an experienced mechanic. Tune-up entails: Derailleur and Brake Adjustments, Cable Replacements as Neccesary, Wheel Truing, General Lubrication, Adjustment of Bearing Assemblies (bottom bracket, headset, etc. ), and Minor Cleaning. Valued at $50.00. Basic HTML/Web Design- Basic Web/Graphic Design work- Good for 5 hours of work*. Can help with setting up a basic generic website or helping you with some HTML/CSS code on your already made website. Can also help with any graphic design work that you may also need. *Understanding that design work & websites are complex things in some cases and 5 hours might not be enough time to accomplish everything you want to do. Raffle tickets are included in packages over $25.00, or can be purchased separately with other form and will be available for purchase the day of pickup (5-11-2013) at set location (Buds Vegan Nomery). Ticket prices are 1 for $3.00 or 5 for $10.00. Winners will be announced (5-12-2013) and goods dispersed accordingly. In order to help each participant better chance the item they would like to win (rather than draw something they may not like, as is done in a traditional raffle) we have separated the items into three categories that a single ticket may be entered into. LUSH Brand “Sweetie Pie” Body Care Package. Valued at $45.95. Buds Vegan Sandwich Shop Gift Certificate. Meet the ABC at the Boing! Anarchist Collective (608 South 500 East, Salt Lake City, UT) for some good ol' fashion letter writing.